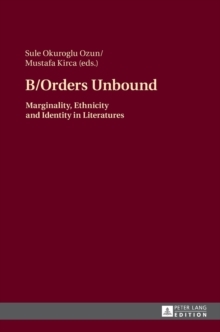 Contemporary literature concerns itself with transgressing borders and destabilizing hierarchical orders. Border crossing to question the given limits and orthodox beliefs brings many disciplines and diverse experiences together, and the result is a myriad of ways of expressing the alternatives when the established boundaries are liberated. The volume presents fifteen essays and brings together many academics and scholars who share a common interest in transgressing borders in literatures. The book is determined to encourage border violations, and each paper tackles the issue of border crossing in different realms and territories.